A website that isn’t on the first page of Google results might as well not exist. If you want to find out if your company has a SEO friendly website and consequently has hopes to reach the first page of Google results, follow the 10 steps of our little guide and hopefully by the end of it, you will have the answer to whether you have a SEO friendly website or you don’t. 1. Check the website’s URLs. A vital part of every SEO friendly website are its URLs. They should be SEF ( Search Engine Friendly) URLs, meaning that they should be clean and easy for both humans and Google bots to read. As you can notice, it is easy for the human eye to see in which part of the website we are right now just by reading the URL. There is only a small number of words used in the URL which are all written in lowercase and separated with the dash symbol(-). URLs should be Search Engine Friendly because that is how Google bots will be able to understand what each page is about by simply scanning the URL. In that way, a SEO friendly website’s pages with optimized URLs will come up on Google results for related searches. On this last picture, it is impossible for both humans and Google bots to understand what the content of the website/page will be. That will have a terrific impact on the website’s SEO and consequently on the its position in Google search results. As opposed to a SEO friendly website with optimized URLs, Google bots will not be capable of understanding what this website/page is about and the result will be that of the website/page not coming up on Google results for related searches, which is the exact opposite of what. 2. Is the content of each one of the website’s pages at least 500 words? Google has announced that the more words the merrier the Google bots! A hefty content is something Google bots can work with and also a crucial part of every SEO friendly website. Now, since nobody wants to go up against the will of one of the biggest conglomerates in the world or show up at its last result page, we should always follow that rule if want SEO friendly websites (and all of Google’s rules for that matter). 3. Are the titles of your website written correctly? Every SEO friendly website should have carefully written titles that always include a unique key phrase for each page which characterizes the content of that page. The key phrase should be followed by the name of the company. Here is an example of Lab3Web’s “About” page. Internal links are links that are placed in pages of your website and can help the user navigate through the website. Internal links are also a part of Google’s must-have list which makes them a must-have for an SEO friendly website. After having created a SEO friendly website, next thing to have to do is encourage its visitors to take action. Users in general want to be shown what you need them to do once they are on your SEO friendly website, reading your post or looking at the rooms you’re renting. The procedure of you, the website owner, showing the visitor what to do is called a call-to-action. A call-to-action for example could be a button with a caption that says “Book now!” or “Share this on Facebook”. 6. Since I just mentioned Facebook on the previous example, social networks are a must-have when it comes to promotion and also a must-have to let people know of your SEO friendly website. Google’s SEO rank algorithms will raise your SEO friendly website’s rank if its social media pages have many fans across the Internet. Though many people might think that just having a social media presence is enough, I am sorry to break it to you but that is very much incorrect. For social media profiles to help you boost your SEO friendly website’s SEO rank, you have to be an active user. People have to engage with you, meaning they have to Like your page, your content and Share it. If all those things happen, then you will not only have a SEO friendly website but Google itself will give it a good SEO rank and promote it on search results. Quick Tip: You have to make the right strategic moves that will help you gain popularity on social media. You have to always use good quality photos that represent your company and you should also be careful with the description of your company, always use key words that have an immediate connection and relevance to your company otherwise it might be misleading. Having said all that, if you haven’t set up social media accounts to represent your company’s website, don’t waste any more time. Create them now and help it become a more SEO friendly website. Up to this point, these were 6 simple steps you can take without any hesitation, anxiety or fear and without even having any deeper knowledge on the subject, to see if you have a SEO friendly website. Continuing, I would like to suggest you used some tools Google provides website owners with for free. These tools will help you monitor your website and are of key importance to maintaining a SEO friendly website throughout time, but first you will have to register to Google Analytics. 7. Google Analytics. It is a free Google tool that can help you monitor every single move on your website. You can see from how many people are using your website at this exact moment to how they react after they’ve visited it. You can see how they came to your website(i.e Google, Facebook etc.) and what they did next, if they just visited one page, if they visited multiple or if they just left. 8. Google Webmaster tools. Yet another free Google tool through which you can monitor and maintain the presence of your website on Google search results. There are also the equivalent tools you can use for bing.com , bing webmaster tools and for yandex.com, yandex webmaster. 9. Pagespeed. A SEO friendly website must load fast and with Google’s pagespeed you can monitor the speed of your website and find problems that might be causing possible slow speed and affecting your SEO rank. 10. Am I Responsive. Every SEO friendly website is a responsive website and with Am I Responsive you can check that very thing. Responsive is a website that has a friendly to all devices design and being responsive is extremely important since according to Google no non-responsive websites will come up as search results on mobile devices. Thus if you want a SEO friendly website with a good SEO rank you need to make sure it has a responsive design. 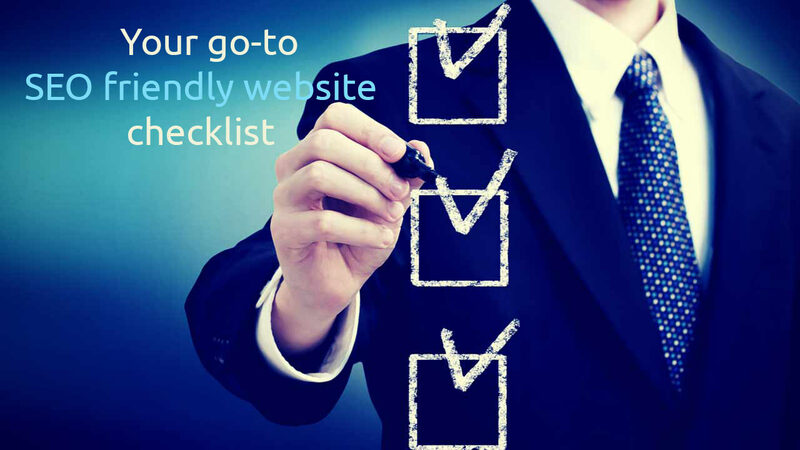 Our little 10-step guide to see if you have a SEO friendly website ends here. 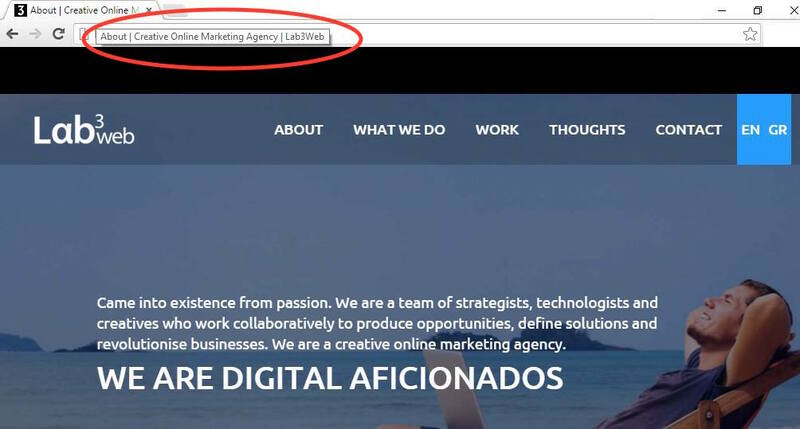 If you notice any or many of these details are missing from your website you can always contact us at Lab3Web and we will be more than glad to do a free evaluation of your website and help you give it another chance.